Order Desk can connect to Alba Trees and send your orders to them for fulfillment. As they ship your orders, tracking details will be sent back into Order desk and back through to the original shopping cart. This guide explains how to set up and use the Alba Trees integration in Order Desk. 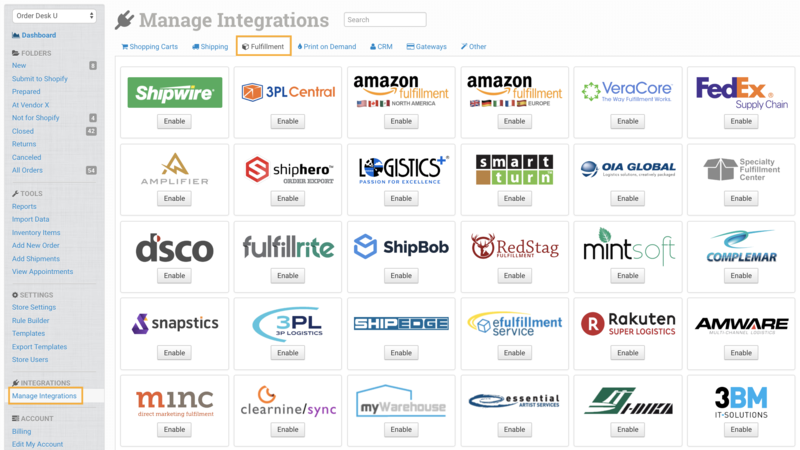 To connect the Alba Trees integration, click on the Manage Integrations link in the left sidebar and under the Fulfillment tab find and enable Alba Trees. Alternatively, search for Alba Trees from the available integrations search. Once enabled, enter your Alba Trees credentials and click to connect. After you have connected the integration, you can apply your preferences in the settings. Select Test when sending test orders through to Alba Trees. When ready to send live orders, switch this to Live. If you need to use new credentials for a live connection, you can disconnect the integration by clicking the Disconnect button at the bottom of the integration settings and reconnect with your updated credentials. Select the folder you want orders to be moved into after they are successfully sent to Alba Trees. Select the folder you want orders to be moved into as Alba Trees sends shipment details back to Order Desk. 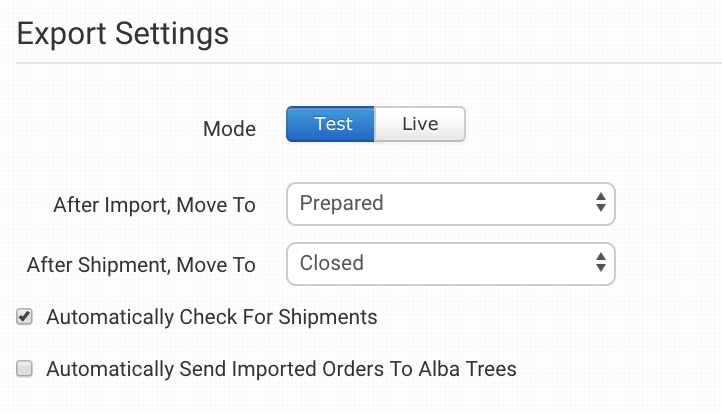 Select this option if you want Order Desk to check for shipments from Alba Trees. If they have sent details back, they will be added to the orders here in Order Desk. 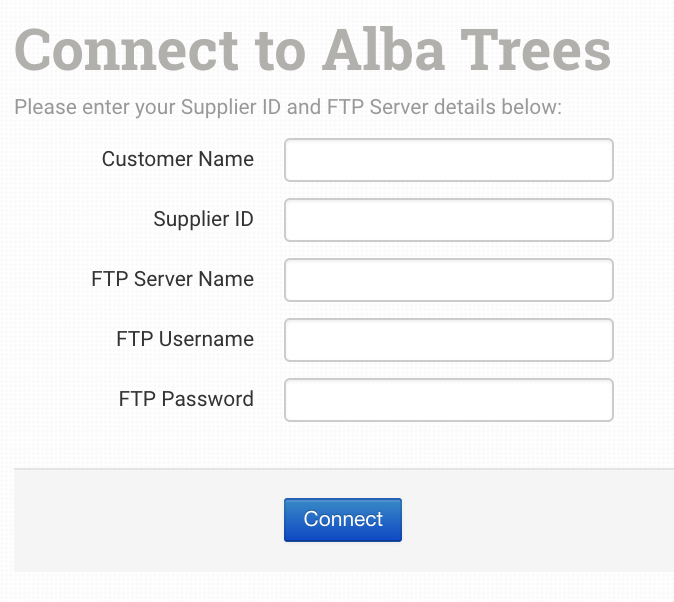 If selected, every order that is added to Order Desk will automatically be sent to Alba Trees. Select this setting only if all orders will be sent to Alba Trees. If any orders will not be sent, or if you need a delay between when an order is imported into Order Desk and when it is sent do not select this. For more information on how Product Code Match and Product Code Skip work, please read the Product Code guide. Set the name of a checkout data field if you want the gift message in that field on an order to be sent to Alba Trees. If you only want to send certain items to your fulfillment provider, you can set the inventory location name from the item in this field. Orders with items that don't have an exact match will not be submitted to Alba Trees. To avoid confusion about which items in which orders are being sent for fulfillment, it is generally better to split orders than to use this field. If you do choose to use this field, please be careful that your inventory location names match exactly. PreferredDeliveryDate Set the preferred date of delivery here.